Each type of skimmer has its own good and bad points, but the bottom line is that you have to know where you are going to put the skimmer so you can narrow down the many choices. In the tank, skimmers are the least expensive but offer the fewest options. 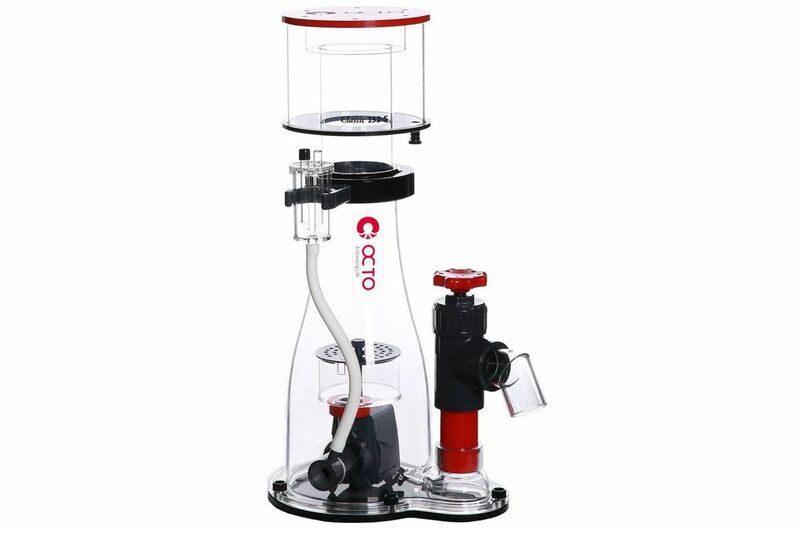 The in sump models offer the most features but are among the most expensive. The Hang On Tank models is by far the most popular due to their reasonable prices and easy installation. In-tank skimmers were the first to come on the aquarium scene. No worries about wet floors or drained tanks. Most are co-current devices powered by an air pump and air stones, but some are pump driven, complete with venturi valves. In-tank units are the least expensive way to add a protein skimmer to your system. Unfortunately, they take up valuable tank space. The quest for a protein skimmer which didn't require any space in or under a tank or require any plumbing spawned the hang-on-tank skimmer. Counter-current, co-current, venturi and other skimming methods are used in the H.O.T. units. They are designed to be quite compact, fitting easily onto almost any aquarium, simple to set up or move, and very efficient for their size. The hang-on-tank skimmers are normally installed on the back of the aquarium, so a certain amount of planning is required when setting up your tank. Since most aquariums are installed against a wall, the tank must be pulled out from the wall leaving sufficient space for the skimmer, plus an inch or two for convenience and room to work in the event that the skimmer needs to be removed from the tank when cleaning and servicing. Moving an aquarium which has already been set up, even a few inches, is never fun project. In-sump or reservoir skimmers are a convenient way to take full advantage of valuable space. For those that do not want unsightly equipment in or alongside their aquarium, these units are an ideal choice because they can easily be hidden. In-sump skimmers are usually counter-current, Berlin, or venturi driven units, but often have combined skimming capabilities. How Does a Protein Skimmer Work in Your Aquarium?